When Is April Fools 2019? April Fool’s Day is observed on April 1 in Ukraine. It is also known as Humor Day or Day of Laughter, as it is a day when people play jokes and tricks on each other. Is April Fools a Public Holiday? April Fools is not a public holiday. Businesses have normal opening hours. Jokes, tricks and clowning around are all part of the April Fool's Day fun in Ukraine. April Fool’s Day is a popular day that features different types of fun activities and events. Jokes and tricks are played both publicly and privately in Ukraine on this day. The Ukrainian city of Odessa, a major seaport on the northwestern shore of the Black Sea, hosts Humorina, a humor festival featuring parades, outdoor performances, and other forms of light-hearted entertainment by clowns and other entertainers. April Fool’s Day is also observed in many other places internationally. April Fool’s Day is an observance and not an official public holiday in Ukraine. Practical jokes and pranks date back to Ancient Roman times. Ancient Romans and Celts celebrated a festival of practical joking around the time of the March equinox. In Ukraine, Odessa has been known as the “capital of humor” since the early 1970s, with the first Humorina festival taking place in 1973. 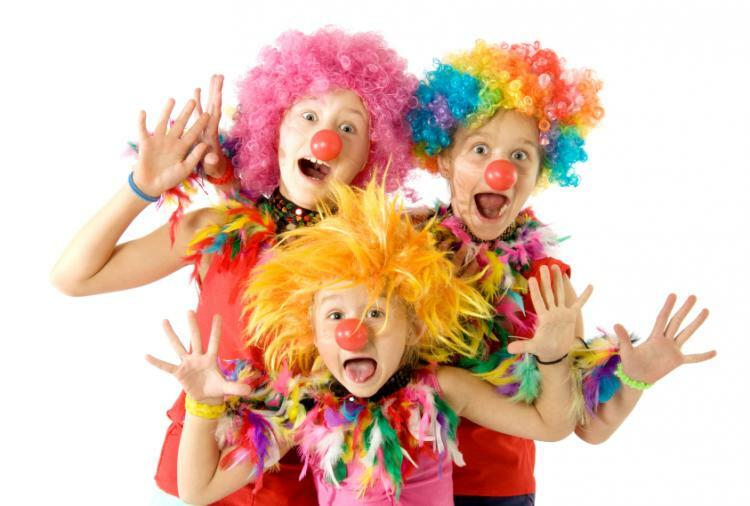 Colorful, creative and vibrant outfits of all colors, including clown costumes, are often seen in public events, such as parades, on April Fool’s Day to express fun, laughter and a little bit of craziness.